Colleen had a deep passion for reading and has asked that her family and friends inscribe one of their favorite books to be put into one of the Free Library Memorials. As part of the service, we are inviting you to send a story or kind word about Colleen that you would like shared with others. The stories that are sent will be put together to create a collage of voices that will be presented by Pastor Justin. Please email your thoughts to DeEtte Feurtado at djfeurtado@aol.com by Sunday, 11/15. The Memorial Service will be held Saturday November 21st at 1pm with Reception to follow. A small informal gathering to honor Colleen will be held in her old office, at Portland Trauma Recovery, on November 12 at 5:30. PTR is located at 1020 SW Taylor, Suite 400, Portland, Oregon 97205. The gathering will be facilitated by Patty Winter, RN and respected colleague (Although she did not know Colleen, Patty is an End of Life Care Practitioner with 15 years of hospice nursing experience, and 4 years of grief counseling. 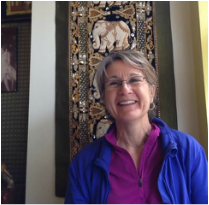 She teaches community education programs in end of life and grief and loss, and holds a lay ordination from the San Francisco Zen Center). 1. A small object that symbolizes your relationship with Colleen, to contribute to the construction of an informal altar (objects will go home with their participants). 2. Any writing that you want to share--either during our gathering, or to be included in a packet of writings sent to her family, to be shared at her memorial. ​An informal gathering to honor Colleen will also be held in Portland. Please stay tuned, details will be posted here once they are finalized. Memorial Service will be held Saturday November 21st at 1pm with Reception to follow. If you would like to inscribe a favorite book, we will collect these books and place them in one of the Memorial Little Free Libraries that have been put up in Colleen's honor. Those who cannot attend are welcome to send *notes for the family. If you would like to send a note or require additional information on the service please contact DeEtte. Colleen passed away peacefully on the afternoon of October 10th with loved ones by her side. 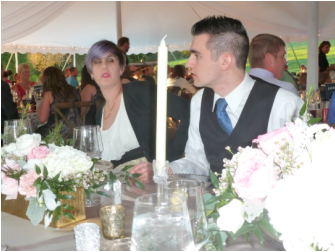 Colleen is preceded in death by her father James, sister Kathy, brother Steve and brother-in-law Dallas. She is survived by daughter Brigit, son Connor, ex-husband Jim, sister Mary Jo, brothers Jim, Kevin (Heidi), Dennis, Brian (Ann Marie), mother Artemis, loving nieces & nephews, and fellow traveler Craig. Colleen was especially touched by the special friends and in-laws who stayed so close and supportive during her illness. Colleen lived an active, adventurous and loving life. She began canoeing 100+ miles in the Boundary Waters each summer as a teen, enjoying the solitude and natural beauty. She later joined the Peace Corps and worked to create economic viability for women and refugees. She began a career in business but found her true heart as a Clinical Social Worker. Colleen began as a therapist in Minneapolis and later opened Portland Trauma Recovery in Portland, Oregon. Colleen found therapy to be the pinnacle of purpose and meaning in her life. She had the gift of understanding, that beneath the pain, each person is absolutely whole. She carried this wisdom patiently until each client could discover and live their own resiliency and power. Cancer gave Colleen an amazing 18 months within which to say “goodbye” to the many family and friends who thoughtfully spent time with her. She treasured this marvelous time to talk, listen, blog, laugh, meditate, and read. She made certain that we all understood, she was ready for the next “adventure”; that the process was certain and sacred. She had no regrets; she lived her life with richness and passion, she overflowed with the amazing legacy she saw in her children, clients and friends. She told us often that her life was more than enough. 3400 Dupont Avenue S Minneapolis, MN 55408. Date and time to be posted on this blog or call First Universalist Church. Mom is peaceful and content and receiving competent warm care in residential hospice. As she prepares to move through her sacred process we circle round and quietly support her departure. We invite your prayers for a peaceful journey, but no visitors please. You can text (612-366-6487) or email (stace@earthwizards.com) Stacy for updates. Obituary and funeral information will be posted on this blog. Such a strange place to be...waiting. Waiting for what? Waiting and watching what this "end of life" is and how it unfolds. I have been given 1 - 5 months to live and my health is declining. I have not yet switched my care from "treatment" to "hospice / palliative care". Reason; I was offered weekly chemo to possibly slow the cancer down (maybe by 2 months) with the added hitch of "no side effects". I offered this option up to Jim and the kids and they unanimously voted for me to give it a try. Logically, I agree, but energetically hospice sounds better. Still, hospice remains a choice that is available to me each and every day, so no constraints. I have completed 2 of the chemo treatments (side effects aren't too bad) and I have 2 more treatments ahead of me before we determine if they are helping. If they help, I will continue, if not, I will switch care to hospice. Overall, I experience small losses most days. My left eye is mostly blind and my right weakened by the radiation, this makes reading and spacial orientation more difficult. Steroids are bulking me up, even though I feel nauseous when I eat?! My energy is very low, which is why I haven't blogged. Most impactful, I now struggle more and more for breath. Most days I move from bed to recliner, back to bed. I read a lot and have begun to listen to books on-line. Jim and Brigit care for me every day, and a group of close friends check in and help too. I still get out occasionally, extended events are tough, but I enjoy a dinner or movie at times. Time moves more slowly now, stretching out into what feels like a virtual pause button. 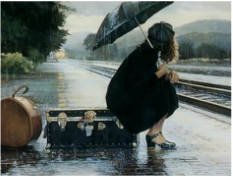 It's like waiting for a train or airplane to arrive, nothing wrong or upsetting, just passing the time, no where to go, nothing to do, until it's all of a sudden time to jump on. Joy is measured in smaller moments...a fresh breeze, dog snuggles, changing leaves, a painless night's sleep, sweet conversational connections. Undoubtedly, every dying experience is unique and we can’t really envision the experience until we arrive exactly “there”. I want you to know that my current experience, waiting to progress to hospice and death, is not frightening, instead it is amazing! As you know I am no longer taking visitors, just simple electronic goodbyes. I live with family; my needs are all met, my day’s quiet space, peaceful interactions, books and music. I seem to decline each day but the path is uncertain, as a family we just adjust, maybe a week, maybe months? All ok, all accepted seamlessly. Inside, I am so very calm, it amazes me! For some reason I do not have fear. When, how, where will I go, what will happen…don’t enter. I am totally content with the dying process, simply trusting death as one of the most certain and sacred passages. Honestly, I can’t cobble together a “why me” story. As my mind floats and connects all I can find is gratitude. As I lose physical and cognitive function my heart grows for those who live a lifetime with these struggles. Me, what a gift, always strong, coordinated in body and mind, never understanding how fortunate I was. Gifts! My life has been rich and full, easy, alive. Absolutely no regrets are possible; I gladly grant others my “robbed” years to help find their opportunity to open into this space. Nothing is pulling me forward either. No rush for heaven, ultimate love, seeing loved ones. I simply trust and don’t feel a need to “know”, no reward or escape planning. Instead, I experience a peaceful float, gently rocking with insights and loving connections, slowly making my way to the other side. Maybe the hardest thing is for all of us to accept is the physical loss. My tears are fewer now, but the grief of letting go stays close to my heart, especially letting go of my kids, this continues to hurt, but of course it does. We accept the tears when they come, but mostly the kids are moving with me in a beautiful, accepting and grateful way. I am hoping with this update that you too will find a way to hold me in your heart space forever, to laugh and share, to carry our words and time together forward. I know I am asking you to do this alone with no rushing in, but ultimately that is the task. Moving toward eternity, to carry loved ones forward in your heart and choices, forever changed, spreading the love and connections back through the world.